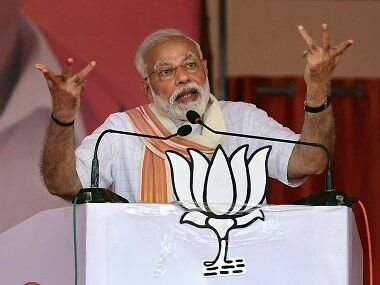 After the Shiv Sena's decision to snap ties with the Bharatiya Janata Party (BJP), mainly to break the electoral alliance ahead of the 2019 general elections, the Telugu Desam Party's (TDP) relations with the BJP are on the rocks in Andhra Pradesh. Signals from both sides point to fissures in the relationship which could escalate into an all-out war if left unchecked. 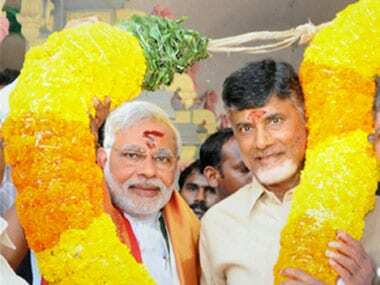 There are elements on both sides seeking to plough a lonely furrow but the key lies in the hands of chief minister Chandrababu Naidu and the Narendra Modi-Amit Shah duo at the Centre. Quick calculations are underway to weigh the possible gains and losses. The TDP had first walked out on the BJP in 2004 after which Chandrababu spent a decade out of power in virtual wilderness. He returned to the NDA fold in 2014 and won, riding on a Modi wave. Indeed, there never was any love lost between the TDP and the BJP, though Chandrababu, by and large, refrained from rubbing BJP on the wrong side until recently. While Chandrababu has two ministers in his team in the state, the BJP has accommodated two TDP men in the central council of ministers. The first signs of fissures came when the TDP's demand for a "special category status" for Andhra Pradesh was pooh pooed by the Centre. Finance minister Arun Jaitley made it amply clear in July 2016 that it would be difficult to grant special status which would entail 90 percent of expenditure on schemes to be borne by the Centre because this would lead to similar demands from other states. This infuriated Chandrababu who cited that such a status was enjoyed by eight north eastern states, Himachal Pradesh, Uttarakhand and Jammu and Kashmir. The Andhra government pointed out that after the bifurcation of the state and the consequent birth of Telangana, Andhra Pradesh had been saddled with a Rs 16,000 crore deficit budget and was finding it difficult to mobilise resources to build the new capital city. 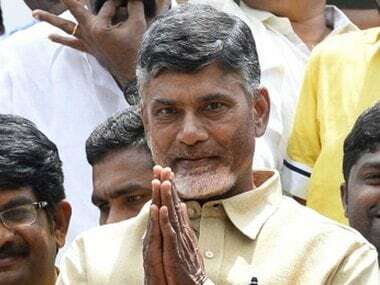 Recently, Chandrababu gave vent to his frustration when he indicated that TDP was ready to chart its own course if the BJP was not keen to continue with the alliance. The chief minister's complaint was that BJP state leaders were railing against the TDP without the central leadership reining them in which was by and large borne out. 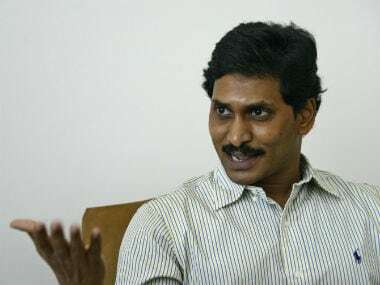 While this controversy was raging, the leader of the Opposition, YSR Jaganmohan Reddy, who leads YSR Congress, decided to fish in troubled waters by holding an olive branch to the BJP for a possible alliance if it agreed to grant special status to Andhra. Considering that the YSR Congress was within striking distance of the TDP in the last Assembly elections in terms of vote share and has of late been perceived to be gaining public acceptability while the TDP is tainted by allegations of corruption and maladministration, the BJP has reasons to think hard about the future alliances. There is another factor. TDP has been faring badly as a challenger to Telangana Rashtra Samithi (TRS) in Telangana and BJP insiders feel that their party too is being pulled down in that nascent state because of its association with the TDP. It is no secret that Chief Minister of Telangana K Chandrasekhar Rao and Chandrababu don’t see eye to eye on most issues. In these circumstances, BJP is neither growing in Andhra where the TDP is a lukewarm ally nor in Telangana where it has failed to capitalise on some positives. However, there is a dilemma of sorts in the BJP regarding Jaganmohan Reddy because of the plethora of cases against him for having amassed huge wealth during the years his father YSR Reddy was the chief minister in a Congress regime before he died in a plane crash, but with increasing indications that people at large have forgiven Jaganmohan, the BJP is coming round to looking at him with some degree of indulgence. Jaganmohan was incarcerated when the Manmohan Singh government was in the saddle at the Centre and holds a grudge against the Congress and the BJP holds his antagonism against the Congress as a major plus point. However, Prime Minister Narendra Modi looks upon Chandrababu with favour because both have a relish for technology and are forward-looking. That Modi could find it expedient to dump Chandrababu can, however, hardly be denied. 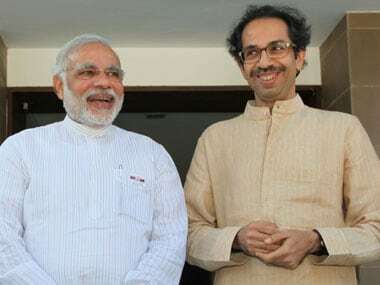 Just as Shiv Sena supremo Uddhav Thackeray found it prudent to jettison the BJP before the latter pulls the rug from under his feet, Chandrababu, too, does not want to be caught napping. He is keen to cross swords with the BJP well in time for the 2019 Lok Sabha election lest he be dumped at a time close to the elections. How much the raging dissension in NDA ranks in Andhra Pradesh is real and how much it is dictated by realpolitik and considerations of both parties to get the best bargain when they sit down to talk on seat sharing only time will tell. But that there is an undercurrent of tension which could well escalate is undeniable.